Singapore remains one of the few developed countries where sexual relations between consenting adult men is still criminalised under section 377A of the Penal Code, an outdated and pointless law that remains on statute books of many former British colonies. To counter this, the lesbian, gay, bisexual and transgender (LGBT) community in Singapore has adopted a subtle but effective resistance “born of strategic adaptation to almost fifty years of single-party, authoritarian rule in the postcolonial state”. Two of Singapore’s largest LGBT organisations – Oogachaga and Pink Dot – decided to collaboratively participate in the Universal Periodic Review (UPR) process for Singapore, focusing on advocating for the rights of the LGBT community. The UPR is a unique mechanism of the United Nations Human Rights Council, aimed at improving the human rights in every Member State. It is the first international human rights mechanism to improve the human rights situation in all countries and address human rights violations. Under this mechanism, the human rights performance of each Member State are reviewed every four to five years. Singapore last had its human rights record reviewed in 2011; with another review set for January 2016. Below, Leow Yangfa, Oogachaga’s Executive Director, shared the story and lesson learned from writing the Oogachaga’s and Pink Dot’s joint report on human rights issues specific to the LGBT community in Singapore for the country’s second UPR submission. With June 2015 as a deadline for submitting non-governmental stakeholder reports, Oogachaga and Pink Dot came together to form a working team in early 2015. Members included Oogachaga staff, Pink Dot volunteers as well as other interested local LGBT advocates and researchers. The team decided the focus would be on a small number of key advocacy areas on LGBT human rights. We agreed that each section of the report would contain background information and evidence, followed by brief and actionable recommendations, all written in a simple format using factual language. A timeline was set and team members took on each of the five key advocacy areas: (1) discriminatory media guidelines and censorship; (2) registration of LGBT organisations and the right of freedom of assembly and association; (3) education and well-being of LGBT youth; (4) healthcare and social services for LGBT persons; and (5) workplace discrimination towards LGBT employees. One of the key considerations the team adhered to was to write the report in a way that would make the information advocacy accessible to the reader – or, specifically, the UN diplomats – with recommendations that were actionable by civil servants in Singapore’s government departments. It was beneficial that the team possessed a range of professional experiences and skills when addressing each of the advocacy areas. The team working on the report included a lawyer, social worker, counsellor, former school teacher and a social researcher. The report was then submitted in June 2015. As part of the UPR process, there was a series of pre-sessions in December 2015, where NGO stakeholders were invited to attend in Geneva. With much appreciated support from the International Lesbian, Gay, Bisexual, Trans and Intersex Association (ILGA), a representative from the team was able to meet with and lobby 23 permanent missions on the team’s key recommendations. Prior to the pre-sessions in Geneva, The Straits Times, Singapore’s national newspaper, ran a story on “Five activist groups to share views on rights at UN review” (The Straits Times, 11 December 2015). In Singapore, a community briefing was conducted for local LGBT groups in November. Additionally, the team commissioned a series of illustrations by local well-known cartoonist, Otto Fong, in order to raise wider community awareness of our report, along with the issues identified and recommendations made. These were shared widely on social media, and attracted a lot of interest based on the number of views, shares and retweets. On 27 January 2016, the Singapore had its record on human rights, including LGBT human rights, examined and evaluated before the UN Human Rights Council, with questions and recommendations submitted by Member States. Despite a disappointing response from the head of the Singapore delegation to the UN, Ambassador-at-Large Chan Heng Chee, regarding the nation’s record on LGBT human rights, a total of 15 countries (Austria, Brazil, Canada, Czech Republic, Finland, France, Greece, Netherlands, Norway, Spain, Sweden, Switzerland, United Kingdom, United States and Uruguay) submitted advance questions and/or made recommendations on LGBT-specific issues. 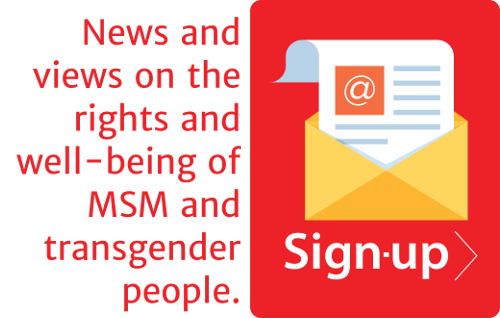 These include: ensuring protection of LGBT human rights, enacting anti-discrimination laws, removing censorship of LGBT portrayal in the media, and allowing the registration of LGBT groups. This was an unprecedented increase from the two countries that made LGBT-specific recommendations during Singapore’s last UPR in 2011. We were greatly encouraged by this overwhelming international interest in the status of LGBT human rights in Singapore, and would like to attribute it in some part to the engagement and effort made by the community through the submission of the report the recommendations made and pre-session lobbying efforts, in addition to the combined efforts of other civil society groups from Singapore. 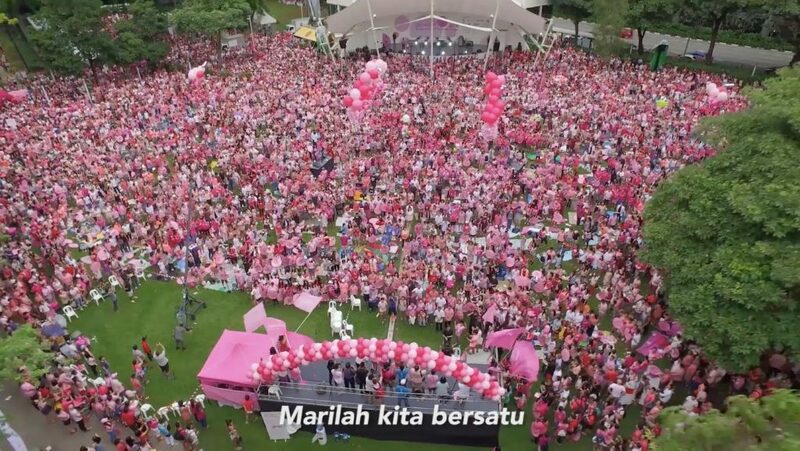 Every Pink Dot, thousands of Singaporeans who support the freedom to love sang a rendition of Singapore’s national anthem. “Marilah kita bersatu” – one of the lines from the anthem – means “let’s be united” – a cogent reminder that differences in sexual orientation and gender identity should not be a reason to be divided. Teamwork: By bringing together committed resource persons and relevant skills of both organisations – Oogachaga and Pink Dot – in collaboration with other interested partners, we were able to tap into individuals with varied experiences and strengths, from research, report-writing, community engagement and international lobbying thereby making the report more practical and relevant. Planning: Working with a fixed deadline and timelines, the team needed to be efficient by dividing work according to each team member’s ability and interest, keeping face-to-face meetings to a minimum, and ensuring all communication and updates were documented by email. Focus: This was decided early on by the team, and included identifying the key advocacy areas and focusing on practical recommendations that could be reasonably adopted and implemented. Community Engagement: Although the team comprised only LGB-identified members, conscious efforts were made to consult with transgender stakeholders during the process. Effective Use of the Media: In addition to engaging and further promoting our efforts with mainstream media, there was active use of social media in promoting the specially-commissioned comic illustrations which helped to further support our cause. Opportunities: Relying on our network of working partners, we were able to tap into the support provided by ILGA to send a representative to attend pre-sessions in Geneva. Although this was not part of the original plan, we were very grateful that it proved to be really useful and successful in contributing to the overall process. Oogachaga is a community-based, professional counselling, support and personal development agency for LGBT and questioning individuals, couples and families in Singapore. First formed in 1999, Oogachaga was formally registered as a non-profit business in 2004. Pink Dot is a social movement that advocates the freedom to love regardless of sexual orientation and gender identity. Started in 2009, the yearly Pink Dot campaign culminates in an annual rally where Singaporeans from all walks of life are invited to show their support for the LGBT community in Singapore.